Mr. Yates has 16 years of experience in environmental consulting with a focus on investigation, remediation, and closure of chlorinated solvent and petroleum contaminated sites. 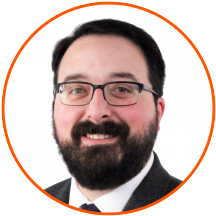 He has served in supporting and management roles on numerous investigation and remediation projects regulated by state, RCRA, and CERCLA programs. Mr. Yates’ previous experience includes conducting Phase I and Phase II environmental site assessments; conducting site investigations and delineation using traditional and TRIAD methodology; oversight of direct-push and sonic drilling; in-situ permeability testing and aquifer testing; vapor intrusion assessments; sub-slab depressurization system installation and maintenance; soil excavations; remedial injections; remediation system installation and maintenance; and emergency response. As a full service environmental consultant and scientist, Mr. Yates works hard to provide aggressive and innovative solutions to each project while maintaining strong communication with the client, regulatory agencies, and other project stakeholders.